I wanted to use a dado blade to cut the shoulders for a tenon on my sconce, so it’s finally time to bite the bullet and install the “dado kit” on my table saw. In case you missed it, I’m in the middle of a love/hate relationship with my table saw. I love the sliding table (although getting it adjusted to slide exactly parallel to the blade is frustrating). I hate the rip fence. It’s really hard to adjust, and each change affects not only the trueness of the rip fence to the blade, but also the squareness of the face of the rip fence to the top of the table. 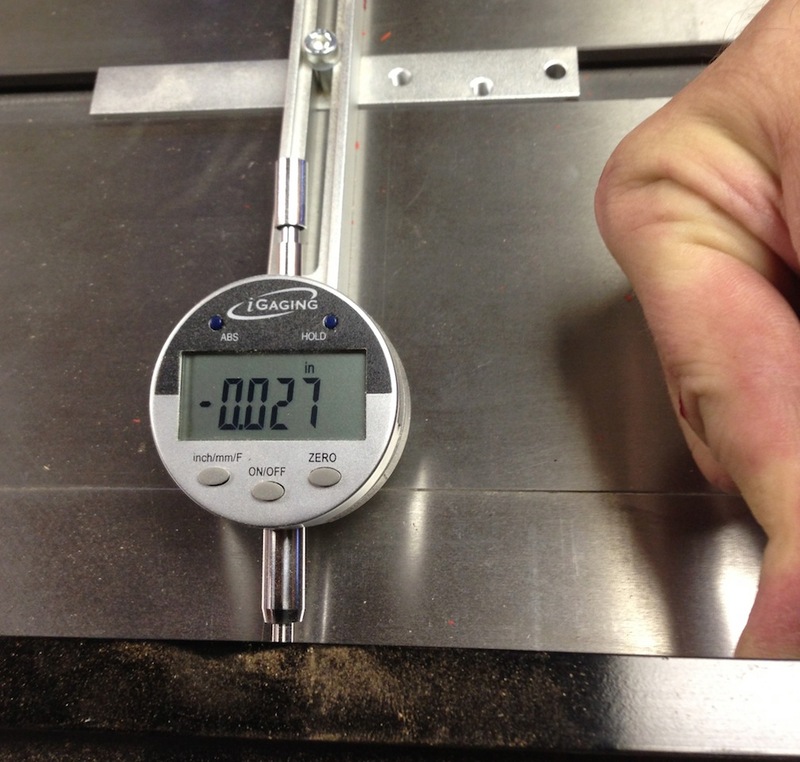 It also deflects way too much in my opinion (~.030″ with firm finger pressure). I’ve written and called General about my concerns, and I’ll give them a few more days to respond and make this right so I won’t go deeply into my complaints right now. I’m hopeful they will offer some aid here. The guy in their parts department has been great shipping out the pieces that were missing, so it’s really down to correcting the engineering flaws at this point. 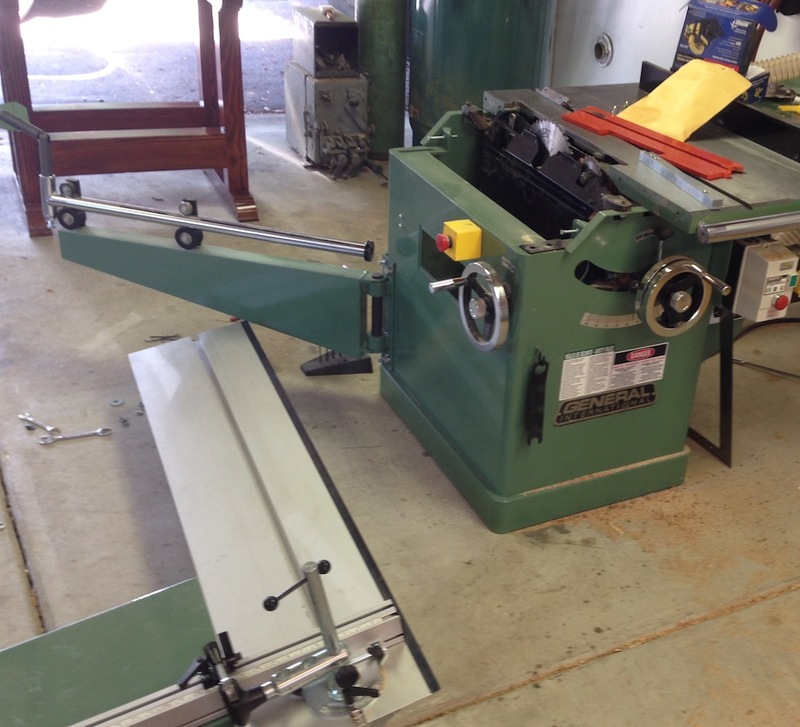 To use a dado blade on the saw the sliding table needs to be moved to the left. Why didn’t they just design this in originally? No idea. 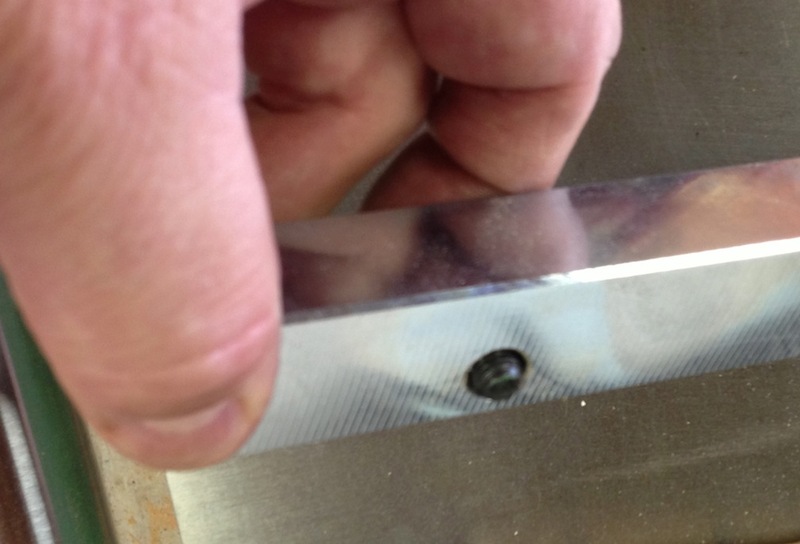 The “kit” includes two spacers that bolt to the side of the cast iron table and a wider insert. Unfortunately the normal insert will no longer work — this is one of my open questions for General. I can likely make a wider insert that will accommodate a normal 10″ blade, the scoring blade and the splitter (and not have a giant gap to the left of the blade). Unfortunately, the adjustment slots for the sliding table didn’t have enough space to allow for installing the spacers, so I had to disassemble the saw to lengthen the slots. Are we having fun yet? Here is the problem, this slot is 1/8″ too short, and the support plate that goes inside also hits the inside wall of the cabinet. I filed the slot longer and ground the black plate for clearance. 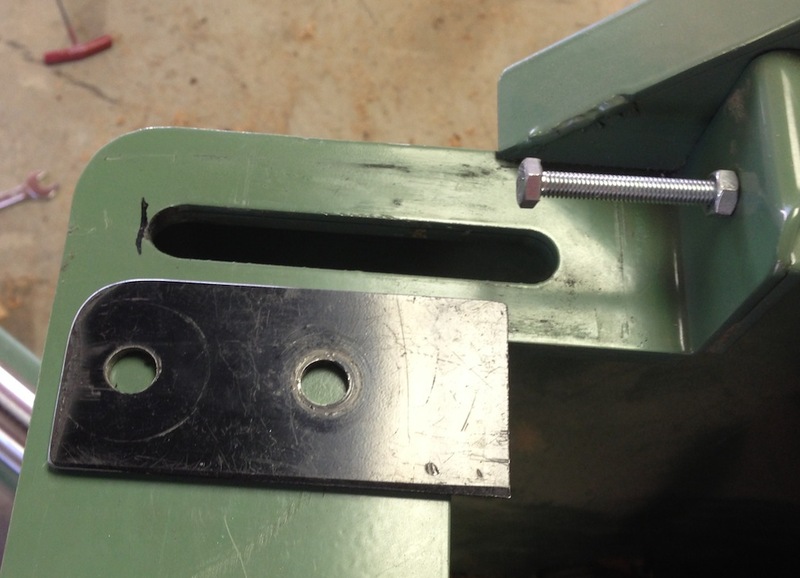 When I went to bolt the spacer bars onto the side of the table I realized the bolts were too short, they just barely protrude through the bar. I have to wonder if they ever tried to install this themselves? There were a number of other details that needed to be attended to, which I won’t bore you with. Once it was all said and one, of course the dado blade works fine. 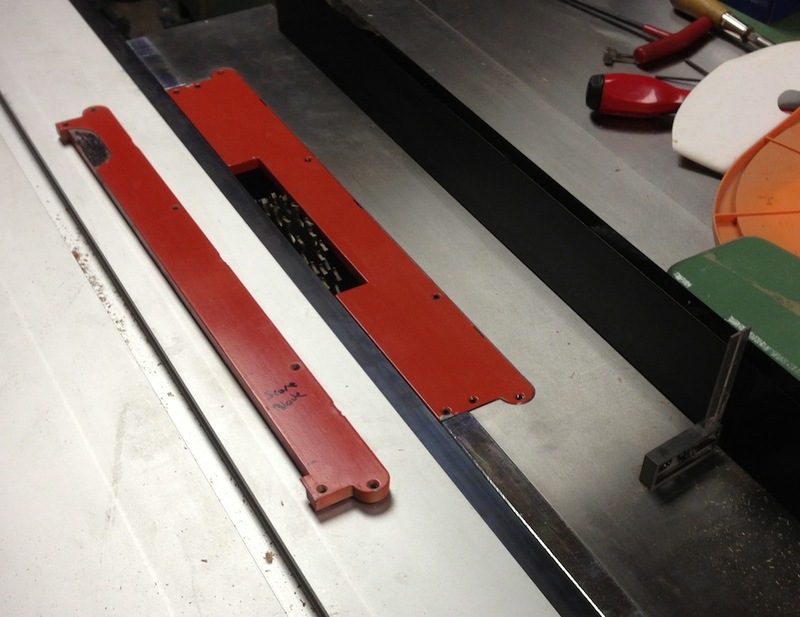 I need to re-adjust the slider some more, there is still some “run out” where it ins’t exactly parallel to the blade. I’ll go do that now. And I need to e-adjust the rip fence as the leveling of the side table affects the squareness of the face of the fence to the table top. I made some good progress on my sconce though, I’m pretty close to having the wall brackets made. I’ve seen guys talking about using the table for ripping where the fence is really only used as a stop at the beginning. Then flex after the cut begins doesn’t matter since the work is affixed to the table. Some people have a variety of clamps and cleats to hold work to the table so they can rip easily. I listen in on the Felder Group and this practice seems to be common there. I guess that could work, but if you have a rip fence that seems a lot easier than clamping a long board to the sliding table. You’re also limited to ripping boards only as long as the travel of the sliding table — which is about five feet in this case. I expect I’ll end up just buying an aftermarket rip fence and adapting it to this saw. Once that’s done (and I sort out the situation with the blade insert) this will be a pretty nice setup. 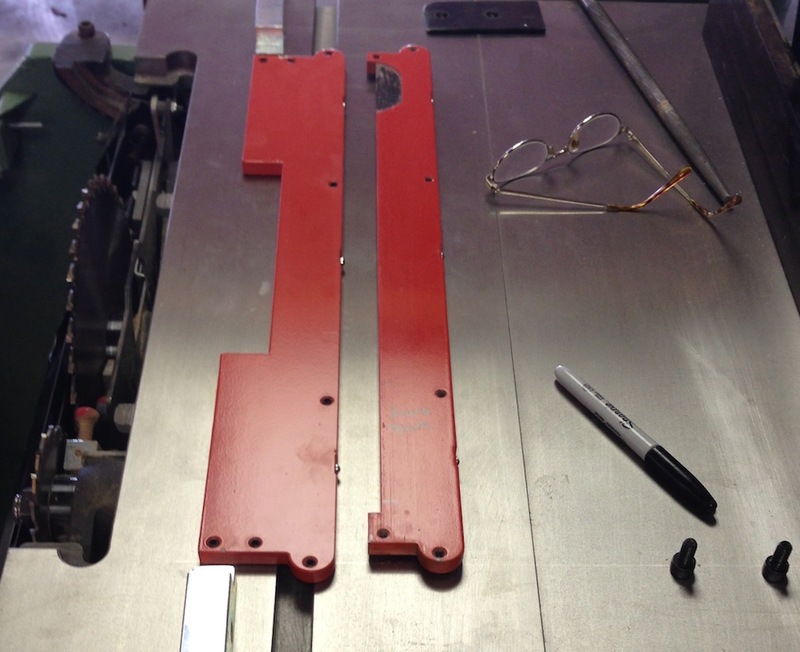 I’m thinking I can draw up the insert in SolidWorks and have a bunch of them laser or water jet cut from some rigid plastic or fiberglass material so I can have proper zero clearance inserts.